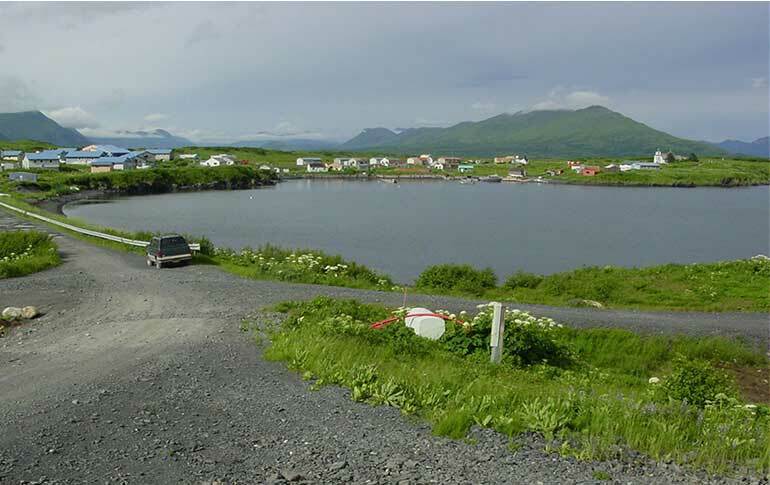 Akhiok is one of the six surrounding villages located in the Kodiak Archipelago and home to more than 74 residents. Island Air Service has been flying to this location for over 30 years. Island Air offers scheduled service Tuesday, Thursday, and Saturday to Akhiok and the ability to charter one of our 11 aircraft if the schedule does not fit your needs. Located on the western side of Alitak Bay is Kodiak Island’s most remote village of Akhiok.Approximately 90 air miles southwest of the city of Kodiak, Akhiok is surrounded by moist tundra and rolling hills. The Alutiiq people in this area were among the first to witness Russian ships who came to Kodiak between 1763 and 1780. During this time the original village of Kashukugnuit was located across Alitak Bay in Humpy Cove where it was primarily a sea otter hunting village. During a smallpox epidemic in 1837-38, Akhiok became one of the refuge locations for survivors. The name Akhiok was reported in the 1880 Census. In 1881 the village moved across the bay to its present day location. After the 1964 earthquake and subsequent tsunami, some residents of the decimated village of Kaguyak relocated to Akhiok. Notable attractions in Akhiok include the historical Russian Orthodox church, the Protection of the Theotokos Chapel. Near Akhiok on Cape Alitak are preserved petroglyphs, which are one of the only written records of the Alutiiq people’s way of life. Located near Akhiok in Lazy Bay is the Alitak Cannery, built in 1917. Inside the cannery is a museum housing many artifacts of the long history of the cannery. Akhiok is one of the six scheduled stops that Island Air Service provides transportation to and from. The pristine geographic location of this village provides wonderful historic scenery and unique native history. We welcome you to join our flights to this area for a unique opportunity and a memorable experience.